sm the block | Badudets Everything Nice! UPDATE: Casa Italia in SM The Block is now known as Giulia. Can you guess what’s a gelatonini? 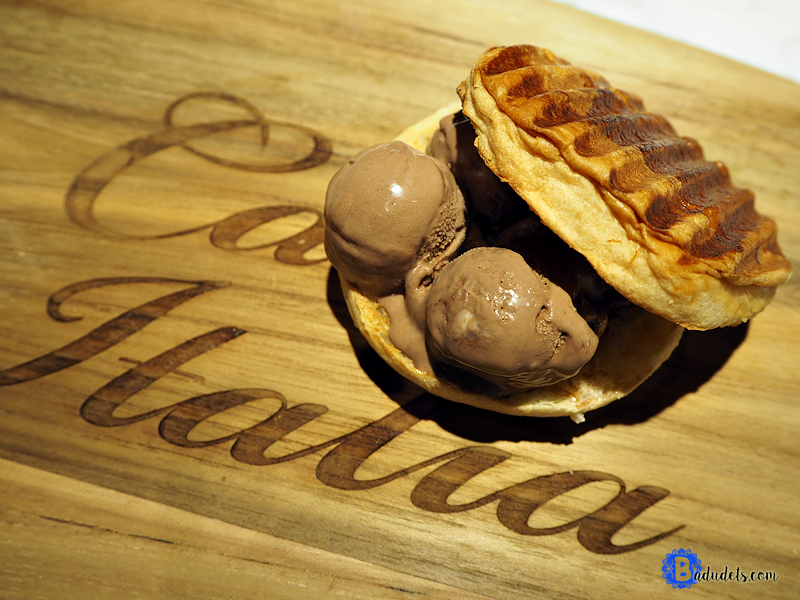 It’s a gelato + panini = gelatonini, Casa Italia’s twist to an ice cream sandwich or the Pinoy’s dirty ice cream in a monay bread. Move over Santa Claus! 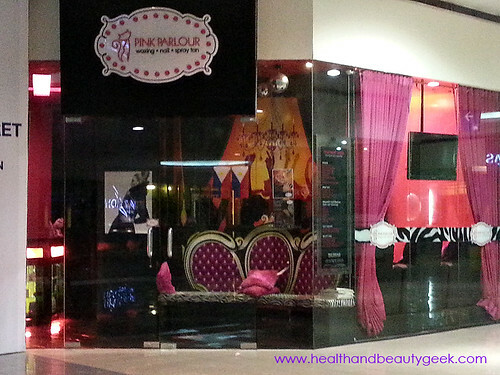 Because Hello Kitty will be the star of Christmas at SM North Edsa. Hello Kitty fans will be delighted because the world’s beloved cat will be here to stay until January 6, 2013. 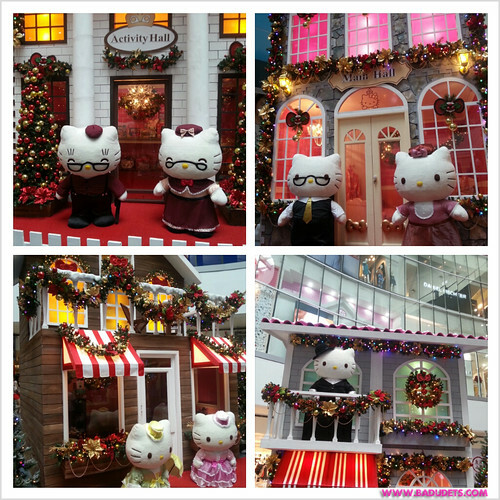 Hello Kitty will shower our Christmas and will usher the New Year with cuteness overload! It’s time to purrrty! Let me show you the things you shouldn’t miss when you drop by SM North Edsa this holiday season. 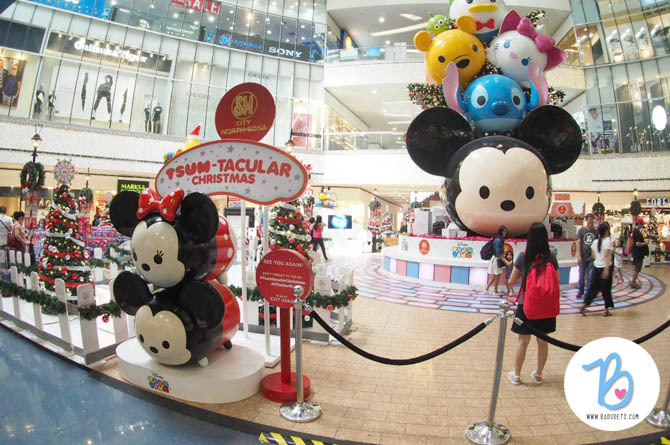 Drop by the Hello Kitty Village at SM The Block Atrium and hang out at the four Hello Kitty houses decked in Christmas ornaments. Hello Kitty, Dear Daniel, Mimmy, Grandpa and Grandma Kitty will be there to welcome you in their respective houses. While at SM The Block, we decided to have dinner except at Mexicali. I told Jeff our faces are already familiar there and they know our orders even before reaching the counters, haha. So we searched for our next candidate resto, we saw Kimono Ken, it’s pretty packed so the food must be good. I got overwhelmed with their menu because of the variety of choices, from the sushi, sashimi, maki, chicken/pork/beef, and ramen. 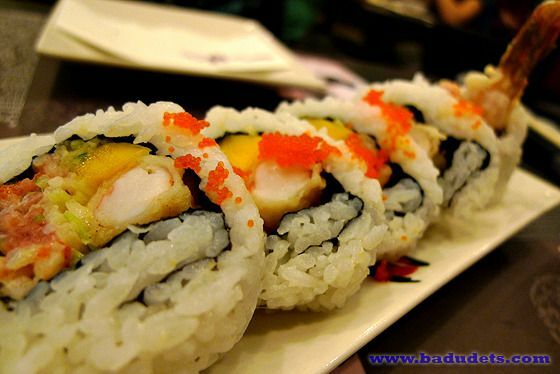 I settled for Kimono Roll, it has mango, spicy tuna and tempura.